Click R then X and enter in -90. This will rotate the model on the x axis by -90 degrees. Click Ctrl + A and select Rotation & Scale. This will apply the rotation to the model and set its value to 0. Click R then X and enter in 90. This will rotate the model back to its original orientation. Export the model as fbx into unity. In Unity you will see that the model is now correctly oriented. First before exporting if you want to keep the rotation as 0 0 0 . Then you have to apply it. When exporting to Unity from Blender as fbx. Blender tends to rotate by 90 degrees. You can also try to change up and forward axis. 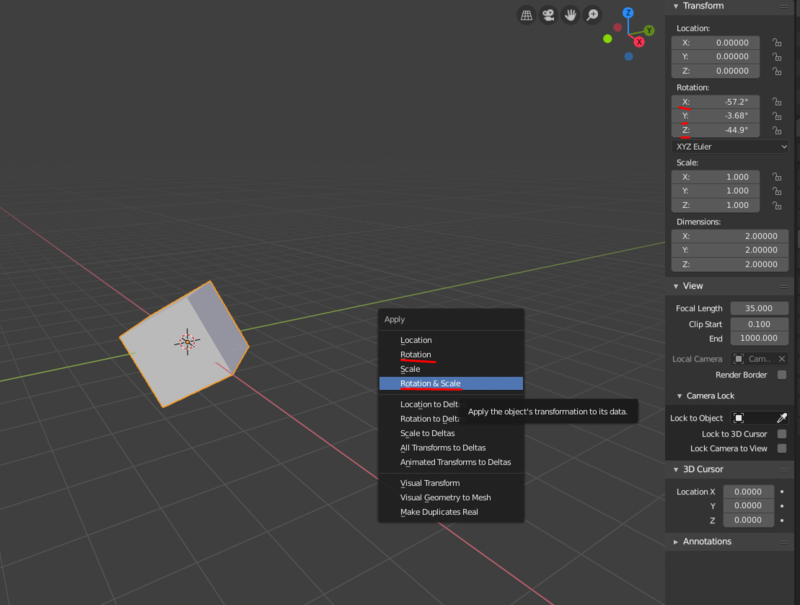 Related: Importing an object from Blender into a scene, rotation on X axis? . 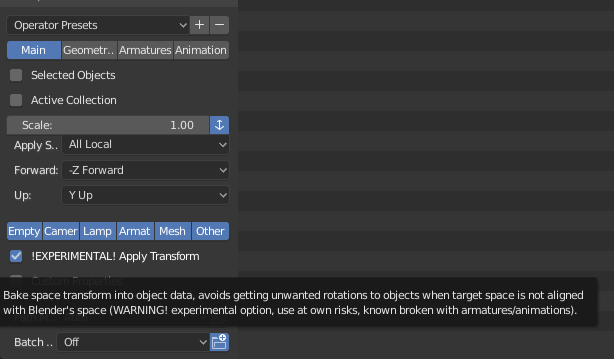 As far as I know you can't do that in Unity, when importing an object. You'd have to re-export your object with blender. You can either rotate the object itself, or while exporting, play with the settings on the left. There you can change which axis is "Up" and which one is "Forward". Alternatively you can make the Jungle Tree child of an Empty and rotate that by the required amount, but assuming you want to use other objects in a similar way, it can get messy.